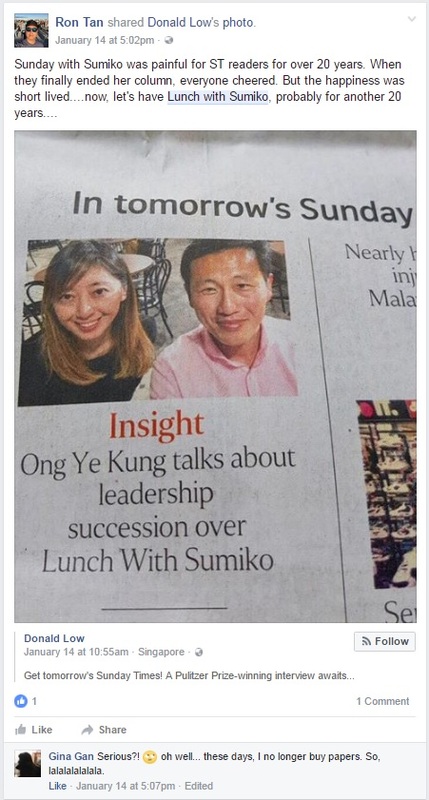 It was to promote The Sunday Times revamp, including Sumiko Tan's new Sunday interview series, Lunch With Sumiko. The next day, she was replaced by a giraffe (I mean in the ad), but the recently promoted Straits Times executive editor's picture still appeared, albeit smaller. The day after that, the giraffe was replaced by the shorter-necked Selena Tan, and Sumiko was pictured with Education Minister (Higher Education and Skills) Ong Ye Kung. Then on Sunday, after all that build-up, Lunch With Sumiko finally dropped. 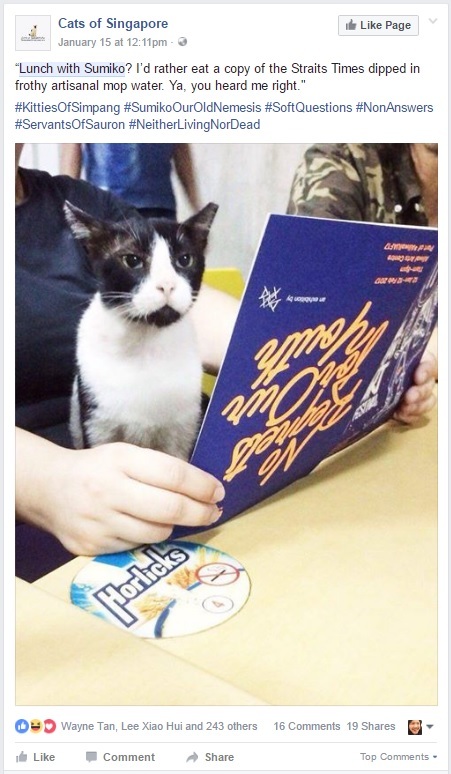 Since then, I've read more about the article than the article itself. 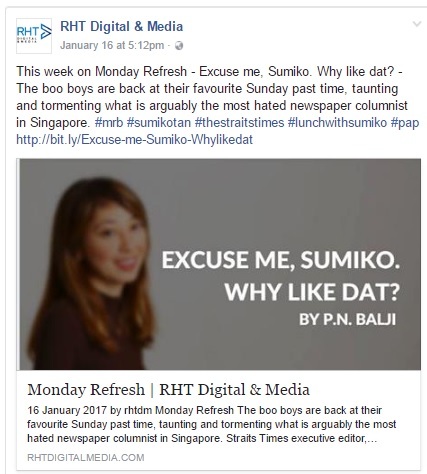 Is it just me or do people dislike Sumiko Tan? I thought everyone adored her column. 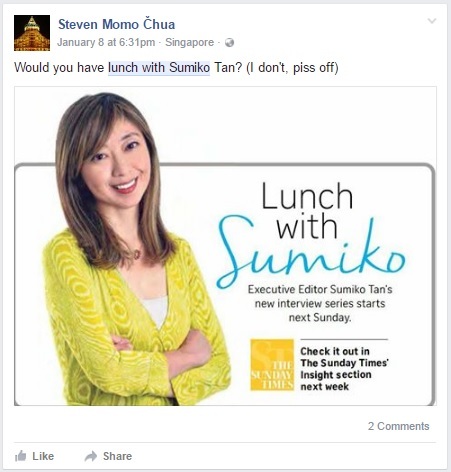 Ironically, by discussing (and dissing) Lunch With Sumiko so much, the haters are doing a better job at promoting it than those half-page ads ever did. What has gone unmentioned is that a week earlier, The Sunday Times ran a somewhat less-heralded interview with the other Education Minister, Mr Ng Chee Meng. By... Sandra Davie, the senior education correspondent.